Back length from (approx): 82m/32"
In a chunky knit design, this jumper is ideal for cooler weather. 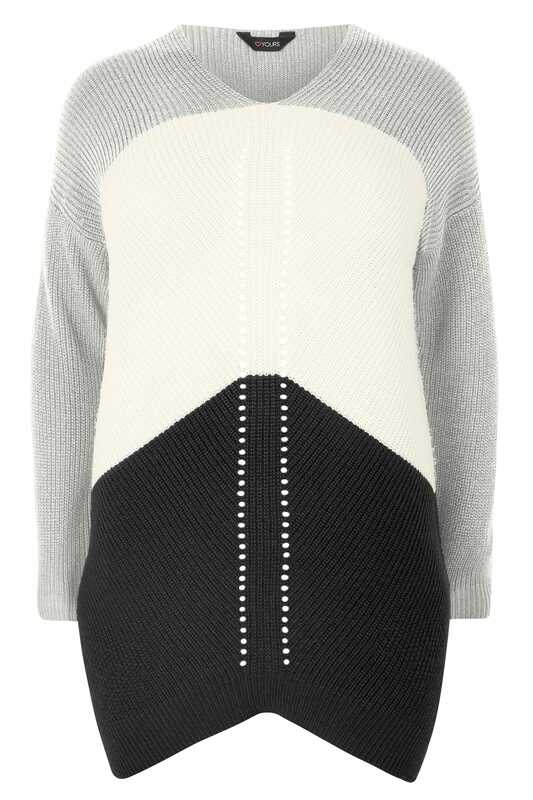 Featuring a v-neckline and long sleeves, it is elevated with a contrasting colour block pattern. 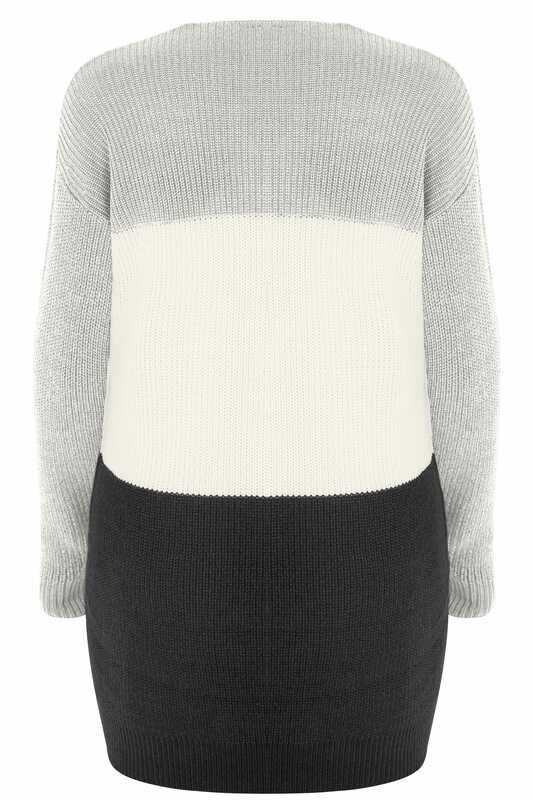 For a chic casual look, simply match with your favourite denim and flats.